Just saw this book and thought it was fantastic! It can be used in conjunction with any atlas. There are many different activities to reinforce atlas work. 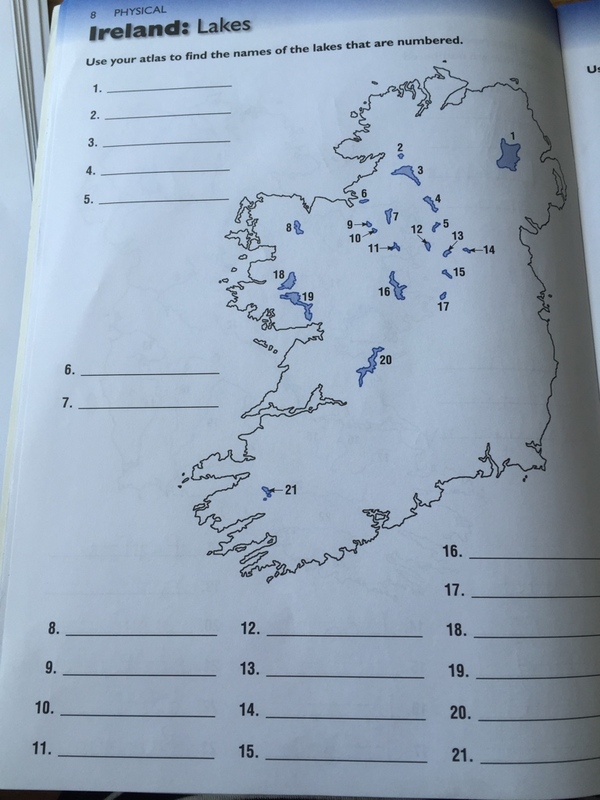 There is a big focus on Ireland- covering the mountains, islands, rivers, and then different sections for countries, and continents. These two pages are based on the lakes and islands of Ireland. 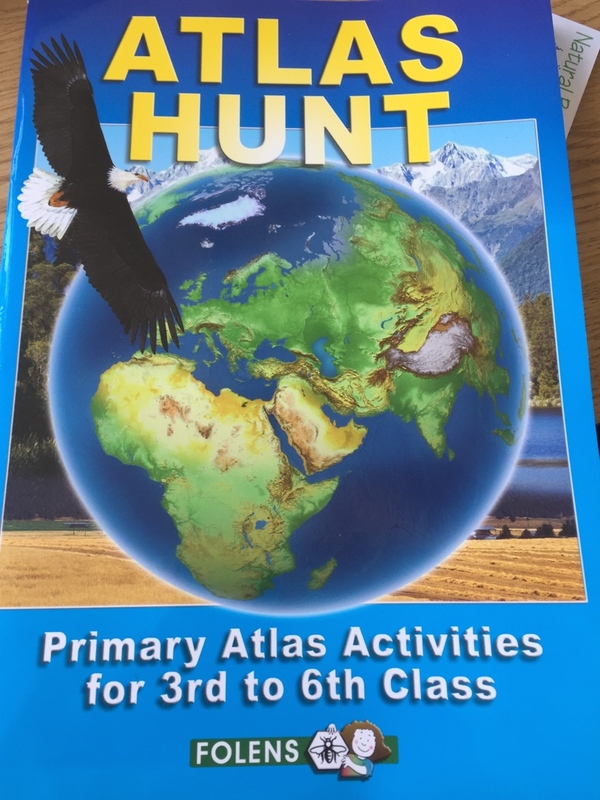 Children need to use their atlas and write in the different names. 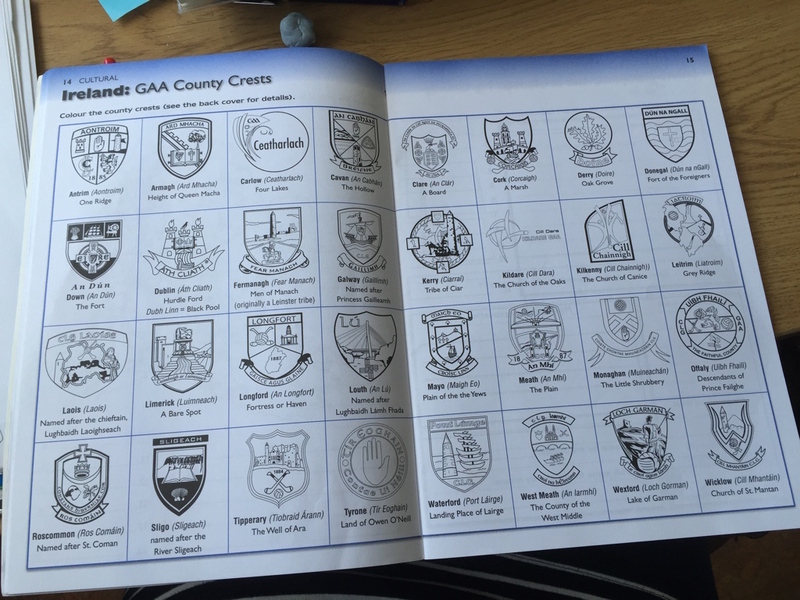 This page is based on the GAA County crests. Would be a great activity when learning about the GAA. 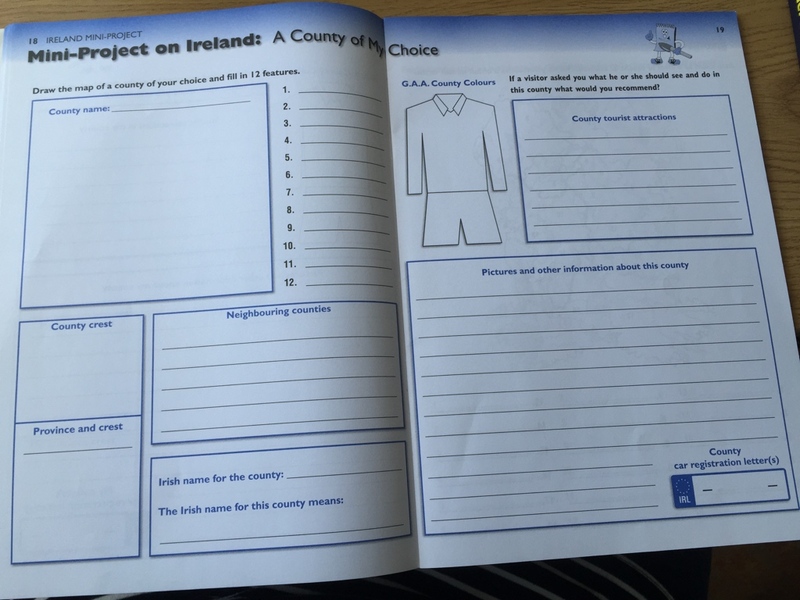 This is a fantastic planning sheet for completing a Mini Project on Ireland. It will enable children to plan their project and give them specific areas to focus on. 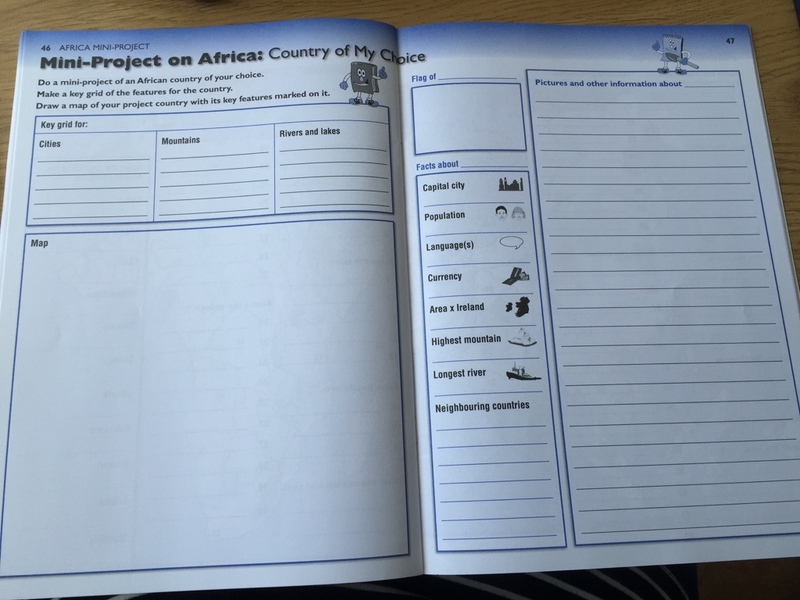 These pages are based on planning for a mini project on a country in Africa. 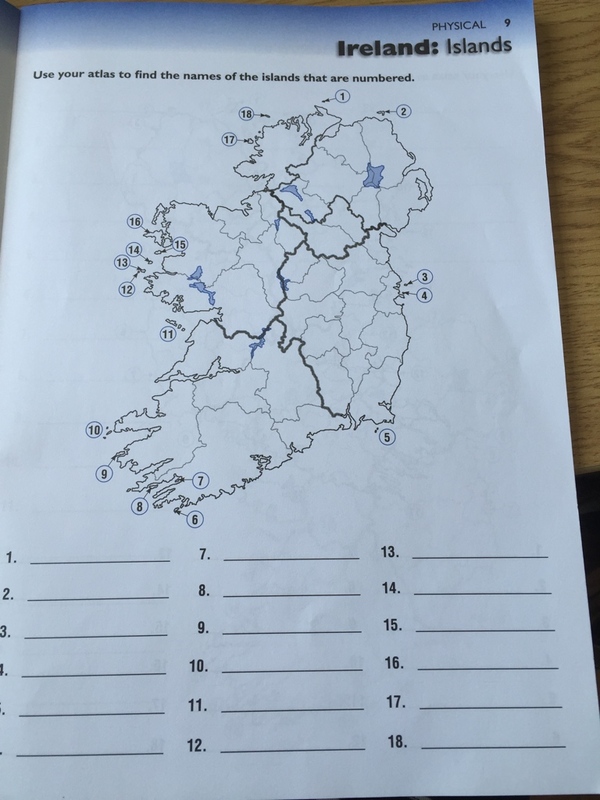 Overall, the book has a range of different activities to reinforce and support children when they are learning about different countries and counties of Ireland. Atlas Hunt Pack €18 for Atlas and Atlas Hunt.